I am honored to receive the Blogger Recognition Award. Please accept my version of the logo as a symbol of my appreciation. The knot is a symbol to bind or connect in life. It is also a symbol of good luck and good things to come. As bloggers, we are continually making connections with our global community through writing, photos, and even video. We hope to introduce new places to visit, inspiration to succeed, contemplative issues, mental health awareness, and so much more. It is a very personal and interconnected world of people reaching out. Through supporting one another with motivational awards such as the Blogger Recognition Award, we create a positive force that promotes growth. 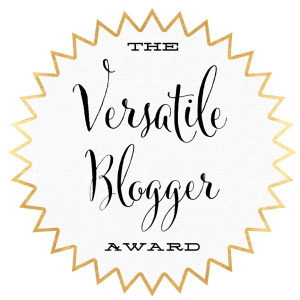 I feel lucky to have been nominated and I hope that in nominating 15 bloggers for this award, I will have created something good to come. I want to thank the simply natural and simply beautiful Swatti Sharrma. She is a social media influencer, entrepreneur and microbiologist! Fascinating! I love strong and empowered women. And to think…she nominated me! I do love exploring and pride myself in my extensive experiences in my home—New York State. I have always been flabbergasted by my friends, neighbors and coworkers who hadn’t taken advantage of the beauty and variety New York has to offer. My blog began as a way to introduce all of the fun and adventure you can find in New York State, especially on a tight budget. It has evolved to include our experience of living in a tiny home (Tiny Living post #1 ), went on to include other great finds in the U.S. ( Tallulah Gorge, Georgia ), and even dabbles in my first European trip ( Peacock Island-Pfaueninsel, Germany ). My overall focus is helping inspire people to explore and enjoy life without breaking the bank. Blogging is a really interesting medium for getting your information out to the general public. I’ve created websites for businesses before, but a blogging site is different—it’s more interactive with the community. This is something I never thought about in the planning of my blog. It has been a welcome change and I truly enjoy engaging with other bloggers. This type of community has actually helped me improve my methods tenfold which is something I would never have achieved in my previous business. Keep reading, keep writing, keep learning. Your brain needs to be inspired and exercised to write long-term. No matter what your blog theme is; write with a beginning, middle and end to your post. Break up your writing with anything—photos, headlines, bullet points, etc. Name all of the photos you use with keywords and descriptions that will lead someone back to your site. Sites like Pinterest have the potential to redirect a lot of traffic back to your site if you use it correctly. Learn about SEO. Just about everyone is offering free courses. ( @crafty_explorer just hosted a terrific e-course. Check her out! Read, converse, like, and enjoy other blogs and social media accounts. This is how you will find a supportive community. You are to accept the award through a blog post on your website (blog). You are to describe your blogging journey and inspiration or reason why you chose to be a blogger. You are to share your learnings, knowledge & advice to new bloggers. You are to nominate 15 bloggers. You are to notify each of them about their nomination as the nominee for Blogger Recognition Award. I got a hang of SEO recently, but I still struggle with Pinterest. I just don’t understand how it works, to be honest and since I don’t like it that much I never took time to look at what’s the site is really all about. Do you have any tips on starting with Pinterest? Yes. Create a business account on Pinterest and link your website to it. That will automatically start tracking pins from your website you don’t even know people have pinned. You can now take credit for them. Next, you can google “how to’s” for things you want to do. I found that easier than trying to find it through the Pinterest “help.” You can also create boards with your post pics by accessing your website through your pinterest page. There’s a “pin it” button that will pull out all of the media for you to select and then save to a board. Good luck!